On the 13th July, ¡VAMOS! 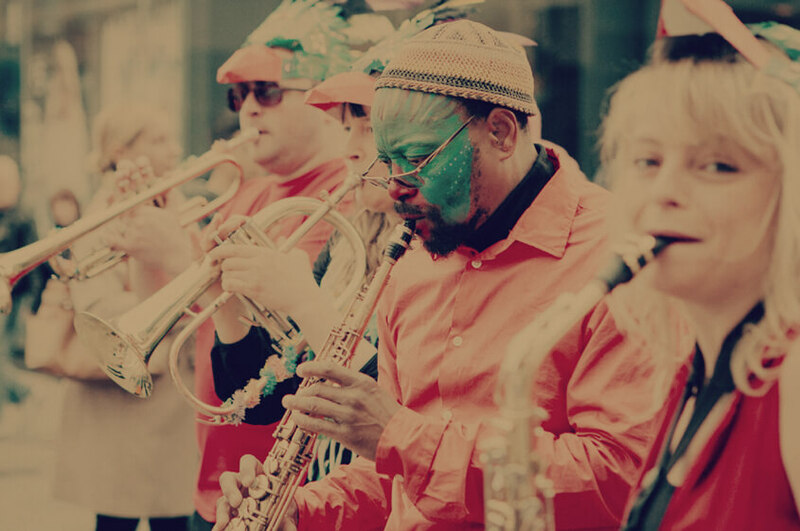 North East plans to bamboozle Northumberland Street with a riot of colour, music and dance celebration during the Mardi Gras Carnival Parade! We will be hosting a series of free music and dance workshops throughout June at the Newcastle City Library so anyone who wants to can be take part and perform on the day! Stay tuned on our social media for news and when to come along! We’re also shouting out to all existing music groups and dance troupes in the North East who want to perform at the parade – get in touch! ¡VAMOS! is supported with funding from Arts Council England, Leeds Inspired, part of Leeds City Council, National Lottery Heritage Fund and Instituto Cervantes.